White sun, White Trucks, and some kind of Lightning. It was bound to happen. The snow had its time. The darkness had to go. After a long shivering winter there must be a spring. We all know that. But still, we all had or doubts for a while this year. Then it happens. The temperature was rising and car guys & girls were getting busy as bees. Garage, workshops and barn doors were kicked up. Brutally. The spring light cast its painful rays over man and machine, but when the cheap sunglasses were found, it was time for a ride in whatever that was ready for a spin. Magnus fired up the Chevy AD pick-up. Pictured; Gasser Style or work in progress. Same Truck 18 hours later, in the foggy Sunday morning. Now low, ready to go. Are all trucks white? 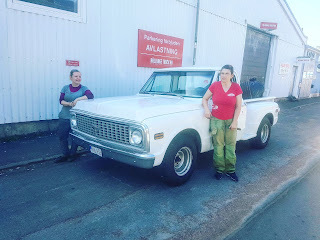 Anyhow, Annika showed up in her Glamourous Chevy C10.Cina and Annika posing proudly after a test drive. 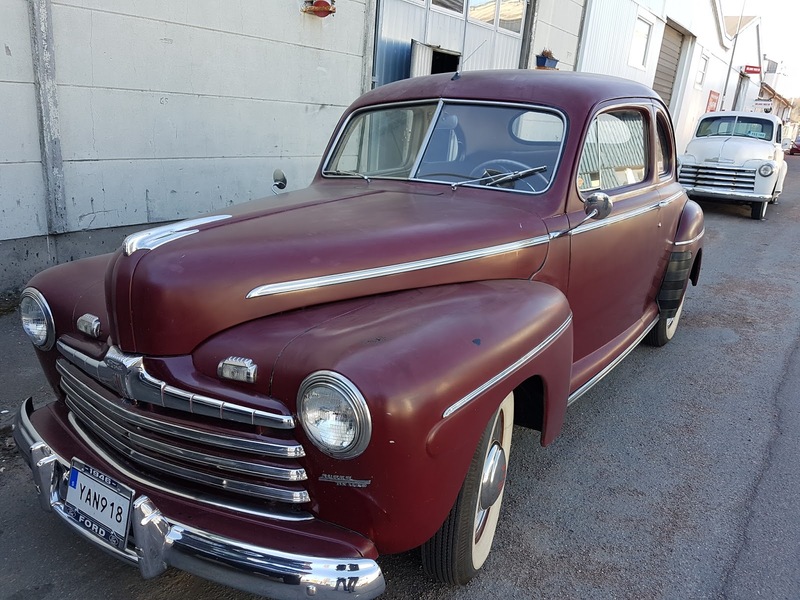 My burgundy Ford -46 Coupe will, any year soon, get an Ardun V8 engine and since Speedometer is now restored (thank's Jige's AB!) we'll be able to determine the difference. When there´s white, there's black. The balance is needed. 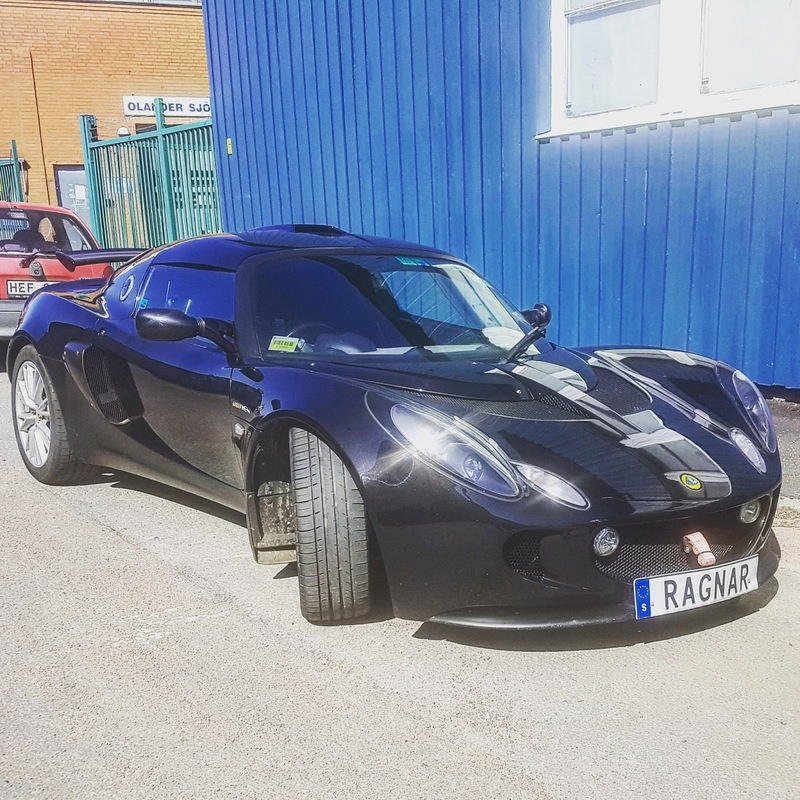 Lotur Exige; High rev 4 cyl with addictable Supercharger whine and a high speed soul black as tar, totally free of any kind comfort. A nice car. Meanwhile inside the workshop. The old Benz with race potential is waiting for a new clutch slave cylinder and a new owner. Where's our delivery? We need to know. Because we're heading for California now. We have a race car to complete...Bonneville is coming up in August. 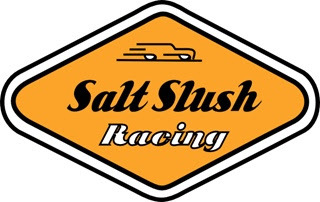 But don't worry, our the Salt Slush Speed Shop is open and ready to provide turbo's and supercharger for those in need. Of Speed. 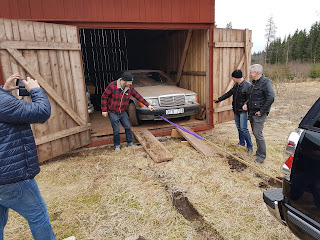 Kicking out a Barnfind! A team activity! It had to go. We needed the space in our barn. On top of that, team activity is a good thing. It keeps you alert and honestly speaking, it's really fun to wake something up. To hear how the starter turn for the first time after resting numerous years in a dry, dark barn where only Owl thrives, is really exiting! Then...ignition....and...Yippie! But no, it was not a forgotten 300SL Gullwing or a Ford 3W 34' Coupe. 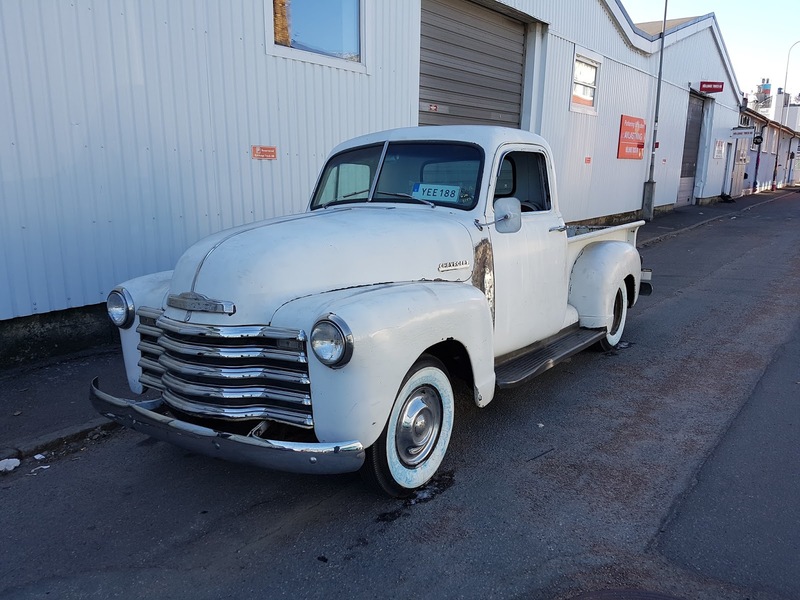 But it is a soon to be a classic and it's unusual. Let me tell you why. Reasonably modern cars with rear wheel drive and a curb weight of 1150 kg makes a lot of sense. Imagen a mild tuning with the smallest Borg Warner EFR6758 and 350hp. What a nice ride! 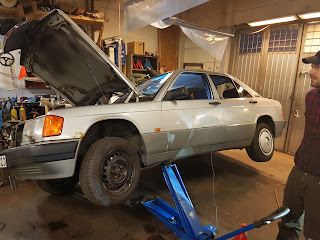 We're talking about a Mercedes 190E from 1990 with 5 speed manual transmission. A small agile and car by today's standard, build like a down scaled Mercedes S-Class. It's like fishing. First there has to be a fight. Yes, the 454 Suburban won. But 4WD Low was needed. Yes, we will fix the brakes. 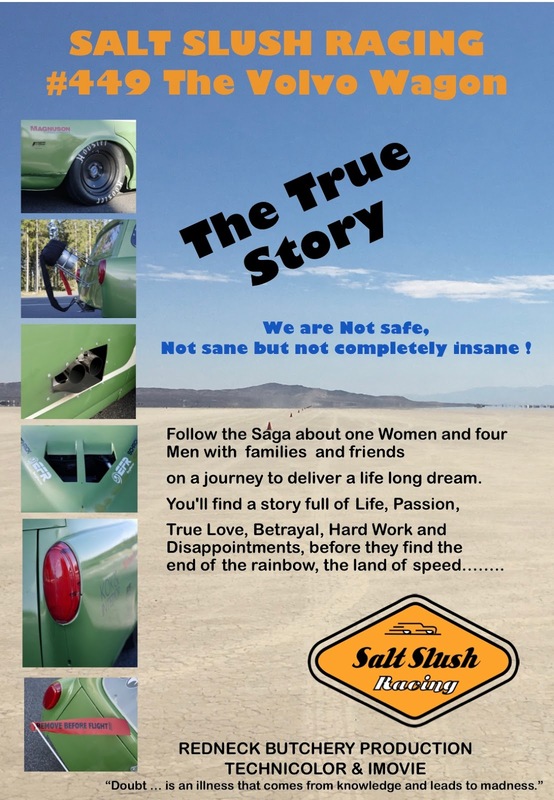 Then comes the get-to-know the vehicle phase. Soft. Analysis ongoing. So far a new clutch slave cylinder and a headlight glass are on the shopping list. But...it looks good and runs fine. After a first struggle, a few dates we start to like her. Marketing is not a precise science ! Or is it ? In our strive to rule the World in the Boosting business we've started to understand that we need to reach out to the crowd. It is not enough to be known by your friends and family. 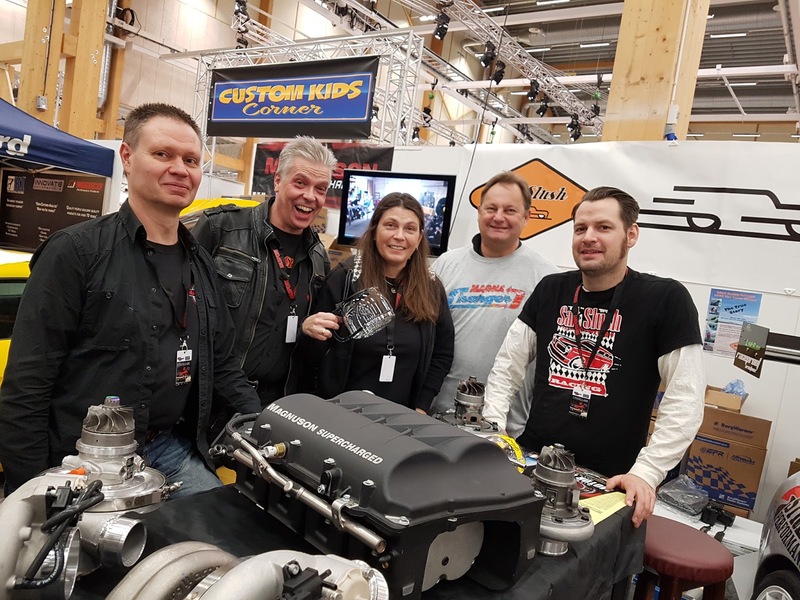 ...and the last 4 Year we've been working hard at Bilsport Performance & Custom show during Easter. That is for sure a big event and we talked to a lot of people and explain the beauty of boosting with BorgWarner EFR and AirWerks turbos and of course the Magnuson Superchargers. 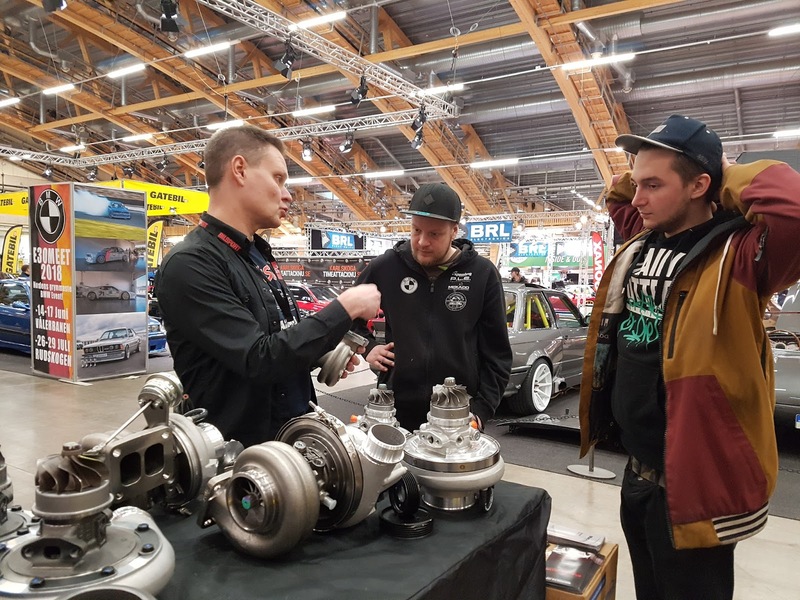 We do get a lot of good response from gearheads and hopefully help people to match their engine and buy good turbos and superchargers. Besides of the above, we have a small add in Gasoline, a Swedish high class car magazine for people with taste for stuff like Hot Rods, VW, Vans, Porsches, Muscle cars, etc. We're on Facebook and Instagram, mostly friends and family. On top of this we have some films on You Tube. We have even managed to receive some support from different companies like my wife's own business. She is now twisting my arm and askes; -What good is this? We had reached a point where we need to move on toward.....our intention to rule boosting world. Ok. Let's go professionell. 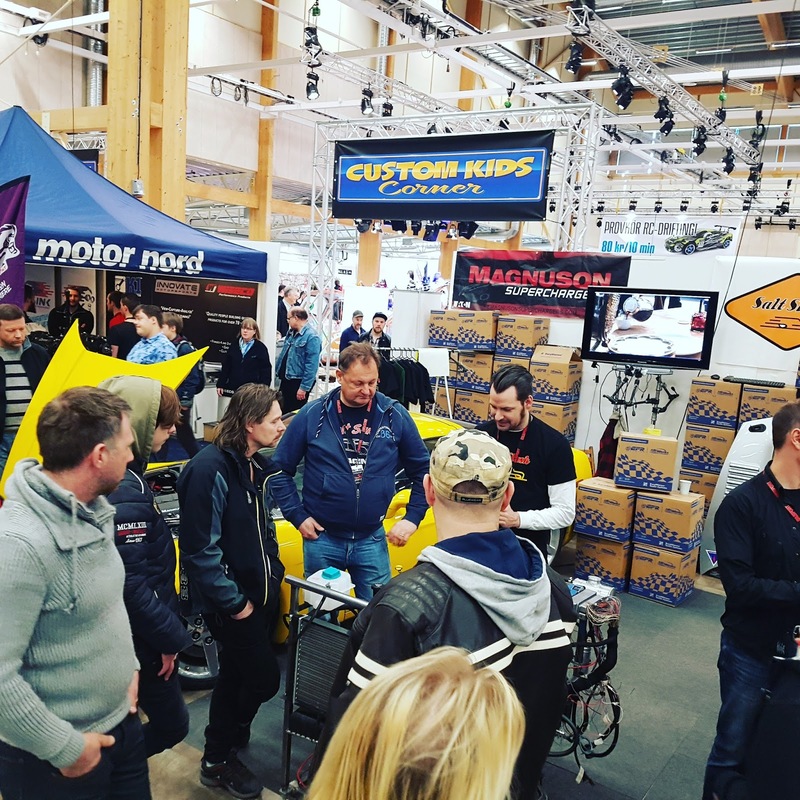 We identified our group, Car and racing people, mainly male, in Sweden, age from 18 to 65. A pre check showed that there were interest in this group. OK, that makes sense. We all agreed that this could be something. So we pressed the button and signed up for a 2 week test. My Mother, sweet as can be, does not represent our customer category, although she has always sponsored my car interest. 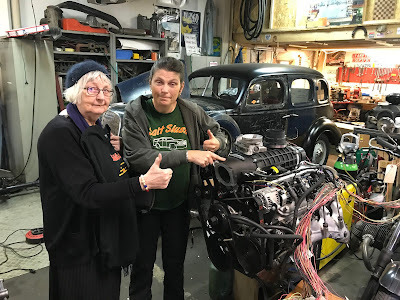 She is 87 Years old, she has sold here car a couple of years ago and is mainly in to genealogy. To be honest, I think the defining of target groups could be worked on. 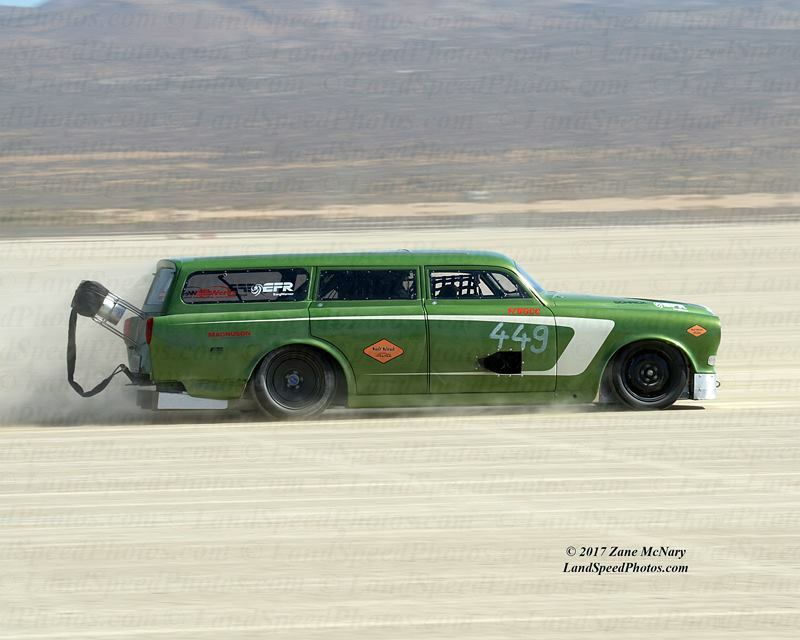 First a picture of our # 449 Wagon when it passes the speed trap at El Mirage 2017. 139 mph was the speed we sat, as you might remember 150mph, our speed limit at during our Rookie Race. Here it's park in the Hot Rod Heaven by Erik H.....very good company. You might remember that we had some needed improvements that had to be done before we could continue with our adventure. In principle a number of requested modifications from tech spec and some improvement we figured out to make it easier to drive. Since life sometimes is short of time in combination with far away places lika having the # 449 wagon by Erik H in LA and living in Gothenburg we have asked Erik for help to solve the remarks we had to fix and start up the work to improve the race car. 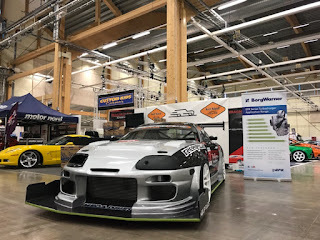 The team will travel to LA during one week in beginning of May to finalize the car, practice and prepare everything for Speed Week at Bonneville in August. First some race improvements. The car was to light ! Erik made some weight boxes that will be placed behind the wall in the "luggage area". The boxes are to be filled with lead bars. We start with a couple of +200 kg. Welding the fixations to the frame. The lead boxes in position ! The fixations for safety belts will be moved and the seat lowered. Will be finalized in May. The adjustable fixation points for the shoulder belts. The new position with the battery box in the left rear. We had to change the fixation of the fire extinguisher. A push bar is being built ! Steering stops on the spindles built and added ! Besides of above there're some more things to do; like improving the fixation of the water tank and make the engine more civilized instead of the on / off monster it is. 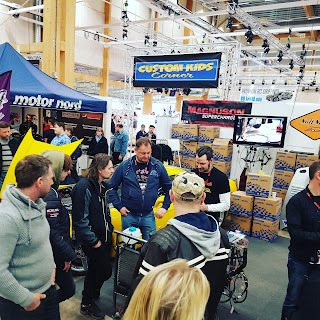 ....with Salt Slush Racing at Bilsport Performance and Custom Show at Jönköping this Easter. We didn't talk to all 83 812 visitors (up 10 000 from last year!) but we for sure had the opportunity to talk to many of you about the stuff we really like! 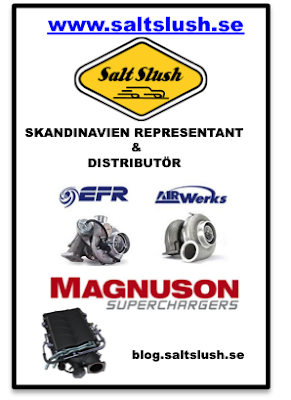 And sure as hell...we can provide Magnuson Superchargers, BorgWarner EFR & AirWerks turbo's that will make your motor dreams come true. After spending Easter at Bilsport Performance Show in Jönköping, Sweden, listening to all these stories, speed dreams and search for power, I'm getting closer to understand why I as a 10 year old kid, started to play around with cars and bikes and basically anything with an engine. 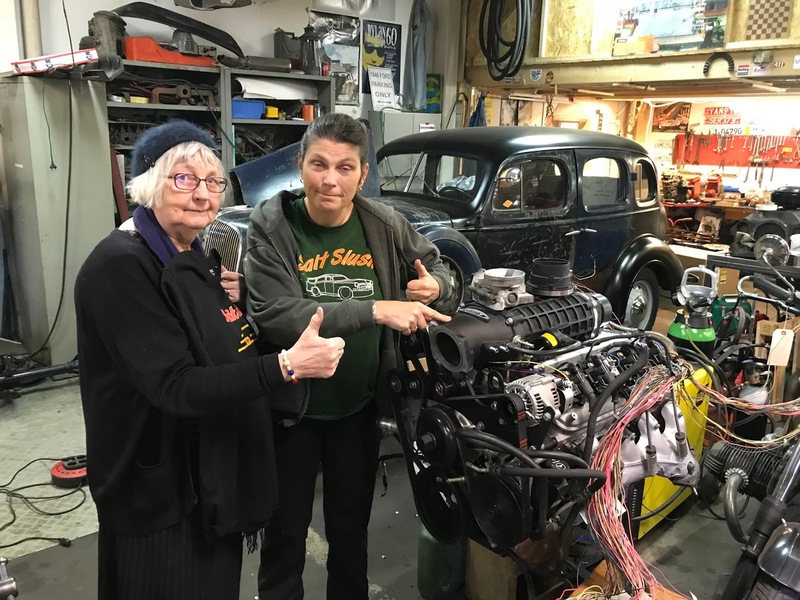 It's because this community is like a gigantic family that stretches from young, poor fearless enthusiasts to self confident race guys, up to experienced people with decades of knowhow from building and driving cool stuff. What they have in common? The smell of gasoline & diesel and a creative mind. Robin Antonsson's EFR 9180 equipped Supra looks hungry and ready to race. 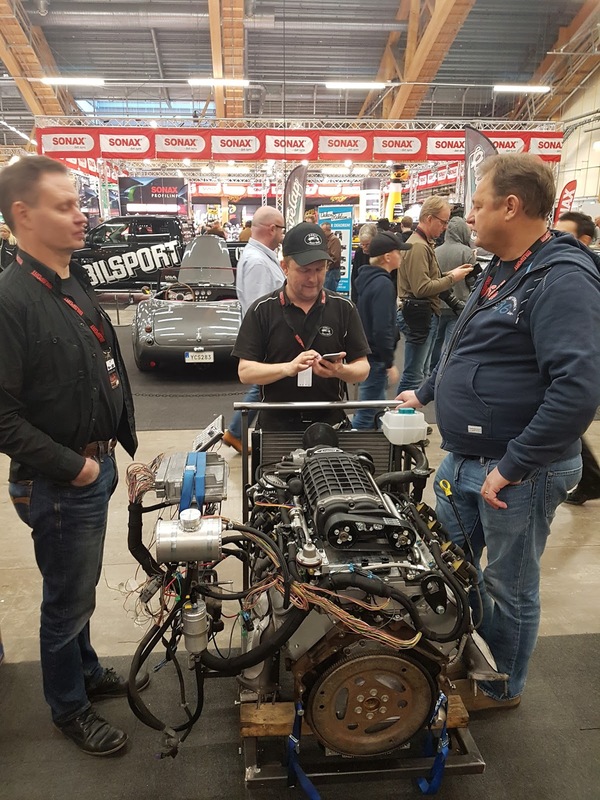 Anders is proudly presenting his Magnuson Supercharger equipped LQ4/LS3 engine, soon to appear in a El Camino near him. We could show both a C6 Corvette with a Magnuson Heartbeat and Anders engine. ...while Anders is in turbo mode just before the show closed. Quinton Stanfield a Airbrush artist and a Magnuson customer came by before the show opened on Monday and spread some energy! Gave us energy for the last show day. Yes at this point in time we had leg pain...but it was worth it!